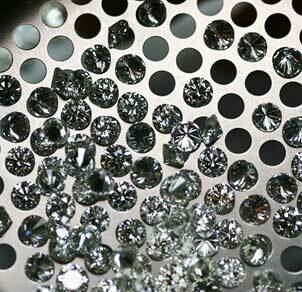 Diamonds have been considered an exceptionally valuable commodity that has been mined and traded for many centuries. They first found commercial notoriety in India during the 4th century BC, the diamond capital moved from India to Brazil during the 1700s and then to South Africa where the infamous Kimberley Mine was found in 1866. Through the years, the diamond industry has experienced many evolutionary and revolutionary changes in the way we use diamonds and in more recent years there has been innovations in how they are being created; from the mine to the laboratory. In the mid-1950s scientists started growing man-made diamonds but were only able to create them as tiny industrial grade crystals that weighed under a carat. It wasn’t until the 1990s that larger diamonds were created suitable for jewelry. As technology continues to reign supreme, nearly everything we do in today’s world is becoming more technologically synchronized which has both positive and negative outcomes. But when it comes to the creation of diamonds there is a great debate on which is better, man-made diamonds or mined diamonds. While both mined and man-made diamonds have the same chemical composition and physical characteristics, how they are made, the impacts they have on the world and their potential inherent value tend to differ. Mined diamonds are created deep beneath the Earth’s surface and take billions of years to form while lab grown diamonds are grown atom-by-atom in a carbon rich, controlled environment that takes about 6-12 weeks to be created. This makes it feasible for you to have few impurities than mined diamonds and makes it possible for you give specifications on the cut, color, clarity, and weight that you want. However, the over indulgence of perfection can take away from the rarity that mined diamonds have, with each diamond found in nature being incomparable to the next. As people becoming more conscious of the ecological status of our planet, man made diamonds have made major steps towards becoming more accepted and sought after due to the non-invasive impacts they have on Earth’s natural resources unlike mined diamonds who contribute to substantial amounts of pollution to our water and air quality. With the mined diamond industry, occasionally being linked to socially and environmentally unethical and immoral practices, it has made it easier for man-made diamonds to base a platform on being more ecologically sufficient. However, organizations like ‘Diamonds Do Good’ have set out to make it their sole mission to educate the world on the positive socio-economic impacts diamonds have on our planet and the people in it. The organization has created innumerable opportunities for communities around the globe like making college financial assistance, reliable clean water sources and maternal education programs possible for people across Africa, India, and Mainland China. Developed by The Diamond Empowerment Fund the Diamonds Do Good initiative is supported by jewelers and diamonds companies around the world, including renowned companies like DeBeers. Of all the attributes that weigh on the scale of pro and con, the discussion of futuristic value is of great importance. The man made diamond industry is constantly upgrading their technology, making it easier to produce larger quantities of stones that are more and more affordable. As this evolution progresses, the future resale value of man made diamonds will be significantly suppressed as a result. This however could place a greater nostalgia on mined diamonds and their value especially investment grade diamonds. With the composition of both man made and mined diamonds being the same it all comes down to your personal preference and what is most important to you. Before making the decision be sure to fully research and educate yourself on the upside and pitfalls of both types of diamonds. The greatest thing to keep in mind is that diamonds, no matter where they are sourced from, not only are they the hardest substance known to man but also are the universal symbol of everlasting love.